What is science? Is there a real difference between science and myth? Is science objective? Can science explain everything? This Very Short Introduction provides a concise overview of the main themes of contemporary philosophy of science. 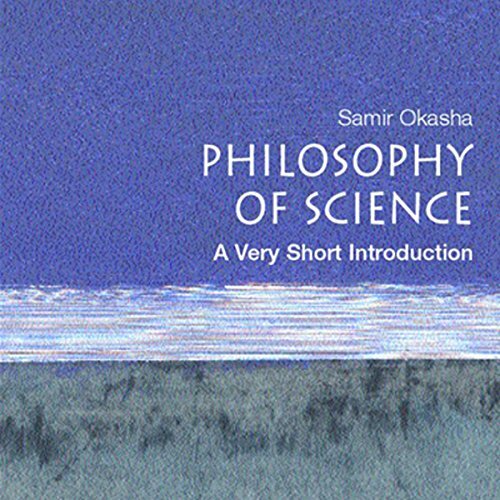 Beginning with a short history of science to set the scene, Samir Okasha goes on to investigate the nature of scientific reasoning, scientific explanation, revolutions in science, and theories such as realism and anti-realism. He also looks at philosophical issues in particular sciences, including the problem of classification in biology, and the nature of space and time in physics. The final chapter touches on the conflicts between science and religion, and explores whether science is ultimately a good thing. I found this to be a wonderfully cogent introduction to the philosophy of science and the major debates within it. It made no assumptions about the background that a listener would have, providing short explanations of major concepts without patronizing or pandering. The whole series is excellent, so I'm not surprised. Excellent broad coverage. Hard to believe the reader is human. One must concentrate to imagine the book's text and read it in your head -- translating the monotone into something meaningful. If this is a test for a computer reader, it fails and amounts to deception. and well composed. , Then narrators voice is not boring, because he has the same tone and melody for each sentence. If you could sum up The Philosophy of Science in three words, what would they be? What other book might you compare The Philosophy of Science to and why? 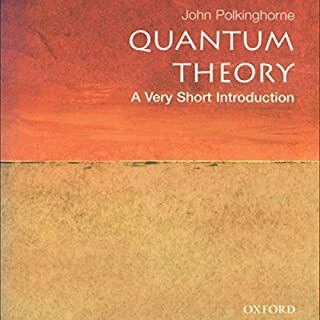 The problem of induction seems insoluble (mainly because of Hume's argument and the Duhem-Quine problem), yet science is inconceivable without it (as is quotidien reasoning and acting). Should be read by all thinking people - especially scientists, who are often allergic to philosophical analysis of what they do. 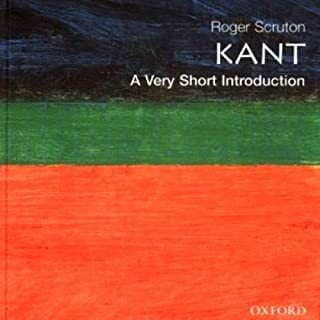 This give a solid, if simple, introduction to this field of philosophy--a good preparation before listening to the Great Courses lectures on the topic. I think the book is actually fairly well-written and often witty, but it comes across as a bit dull because of the reading. I often wonder whether or not this is actually read by computer software, in an experiment to test whether or not customers can tell the difference. The introduction was easy to understand and follow. The author certainly is thorough in their addressing the questions of the philosophy of science but on some issues their bias is easily seen. I don't necessarily disagree with the author's biases but they can be deduced. I enjoy the information but I found the narrator to sound unnatural and speak with way to much treble in his voice. 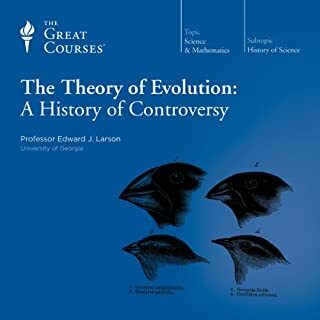 Although the author has a clear bias against religion and inaccurately represents the arguments and views of religious people (especially in the evolution debate) there is still good information in this book. It covers a lot of interesting territory about epistemology as it relates to science. It is a short, somewhat superficial, introduction. It delivers on its promise, though if you have a moderate familiarity with the topic already, then I suggest looking elsewhere. Performance is quite droll, but clearly spoken. This subject matter is my second favourite and this introduction to it is fantastic, I bought it expecting a review for myself, but I actually learned a lot of new information. Some times it is beneficial understand the other side of the argument. 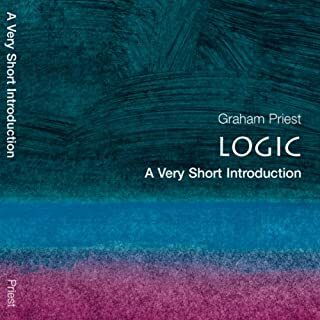 This book begins on a good strong foot proclaiming the virtue of deductive logic, but then fills the rest of the book with non sequiturs and out of context arguments to undermine logical induction. The basis of science are both deduction and induction together. Undermine one and the whole card castle will fall. So it stands to reason that the author after stating how important induction is to scientific endeavors and then stating that induction can't be relied upon, is atempting to undermine the objectivity os science. Unfortunately some will not perceive the logical errors and will disavow science all together. I bought this book as a science pleb and expected it to broaden my horizon in the science field. The book only reminded me that I don't get philosophy. While some scientific theories can sound far fetched, adding esoteric philosophic discussions to the stew doesn't really help. That does not mean I did not enjoy the book. The book is short and to the point objectively pointing out the different sides to discussions in the scientificmilieu. The reason I called the book a sleeper hit is that if you are troubled by insomnia this is the book for you. I have nights where I have had problems falling to sleep while listening to fictional books. Switching to this book set my brain in shutdown mode in under 5 minutes. The reason is partly that the narrator, Peter Ganim, seems a bit unfocused. I found this a very good guide to many of the concepts and debates that underpin Science, as practiced today. 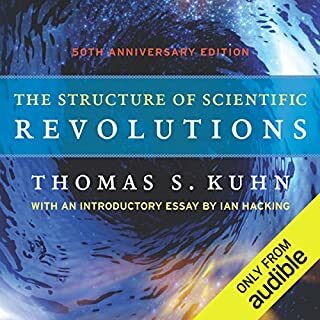 Popper and demarcation of Science from Pseudoscience; Kuhn and the nature of paradigm shifts in science; Realism vs. Antirealism; Hempel and the covering law model of explanations, and Hume's problems of Induction and Causation are all covered, along with much else. I would have like to have seen Baysianism covered in the chapter on probability, and Lakatos as a synthesis of the opposing theses of Kuhn and Popper, as well as Feyerabend on the "Scientific method" (or lack of it), but hey! It's supposed to be a very brief guide! 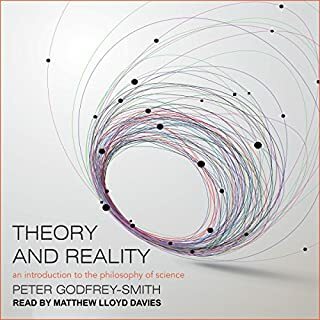 I also thought the chapter on Realism/Antirealism kind of slightly missed the point, which IMHO is more to do with Scientific Realism vs. Social Constructivism, and Relativism, (or as a compromise Hawking's "Theory Dependant Realism"), than the difference between observables/unobservables. The readers voice is slightly lacking in inflection, almost mechanical at times, however, that suited the topic... But I can see why another review said it sent them to sleep! Overall, really useful book, a "must read" if you are involved with Science, but some important concepts and people are left out. However, for £3.99 (which was the price when I got it), it's a very good bargain! Having listened to (and read) many books on the issue, this one stands out by far as the best. The author takes care to give balanced views on the various thoughts and opinions, yet presents these in entertaining ways. Though limited in scope, the important proponents are presented and the crucial angles well explained. The Philosophy of Science explains what science can aspire to, what it shouldn't try to be and why.